There are few more powerful symbols of the international community’s shared past and future than the ocean. From the earliest human migrations, it carried our ancestors to new continents, brought civilizations together, and opened the world to exploration and trade. It also connects us ecologically. Numerous fish species swim across territorial waters to spawn and feed, supporting billion-dollar fisheries and countless livelihoods. Most importantly, the ocean is the central force in regulating the global climate that sustains us all. In fact, scientists have shown that since the onset of the industrial age, the oceans have borne the brunt of consequences from excessive burning of fossil fuels, absorbing carbon dioxide emissions and the majority of the heat generated from global warming. But even the vast ocean has its limits. All that CO2 has turned it more acidic, effectively dissolving corals and shellfish and profoundly altering critical habitats and marine resources. At the same time, sea surface temperatures are the highest they have been in millions of years, and there is now evidence warming is occurring much deeper than previously anticipated. New research suggests that by acting as a temperature sink, the oceans have prevented catastrophic temperature rise on land. A 2016 International Union for Conservation of Nature report called soaring ocean temperatures the “greatest hidden challenge of our generation.”1 “Hidden” because beneath the waves, warming has affected all marine life, from the smallest microbes to the largest whales, setting the stage for a precipitous collapse and putting “key human sectors […] at threat, especially fisheries, aquaculture, coastal risk management, health and coastal tourism.”2 This threat is particularly acute for small island developing States (SIDS). We are still highly dependent on marine resources for food and income, and need vibrant ocean habitats for our tourism businesses. We are also vulnerable to rising sea levels driven by global warming, which not only threaten our coastal infrastructure, but could also render our islands uninhabitable if left unchecked. For these reasons, the Maldives and many other SIDS, often known as large ocean States, were some of the strongest proponents of Sustainable Development Goal 14 in the 2030 Agenda. 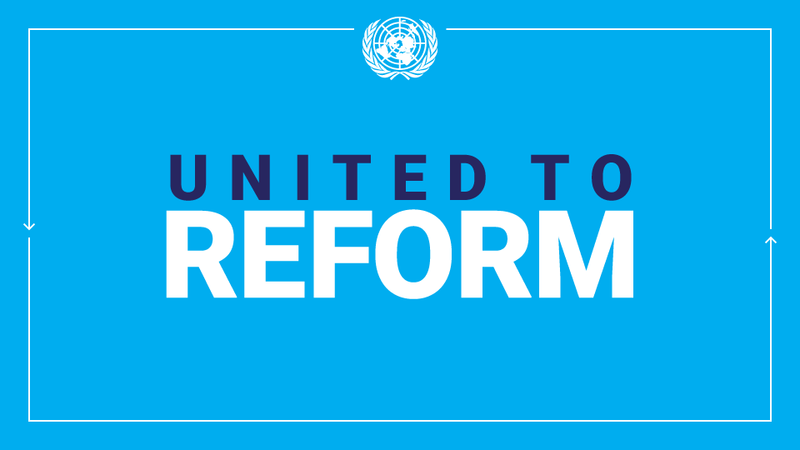 SDG 14 comprises a number of targets designed to “conserve and sustainably use the oceans, seas and marine resources for sustainable development.” It also recognizes that meeting these targets will be difficult if not impossible if we do not limit the greenhouse gas emissions that lie behind so many problems. 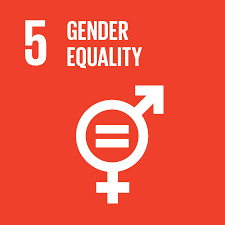 Indeed, SIDS have also led the world in efforts to implement SDG 14, from our ambitious efforts to cut emissions to sustainable development projects that help us adapt to life in a warming world. Consider SIDS work to establish marine protected areas (MPAs) that benefit millions upon millions of people who depend on healthy marine systems for food and income around the world. Beginning in 2004, for example, the Maldives worked with the United Nations to establish the Baa Atoll Biosphere Reserve. It was selected because of its remarkable biodiversity and potential to demonstrate the economic benefits of conservation. In just a short period of time, the atolls have shown remarkable resilience against warming waters compared to other habitats. In the Caribbean, the MPAs of Grenada are living evidence of how protecting essential fish habitat pays long­term benefits by raising the productivity of commercially valuable stocks. Elsewhere, in the Pacific, Palau, the Marshall Islands, and the Federated States of Micronesia have devoted a significant amount of their waters to MPAs, safeguarding sharks, turtles and critical spawning grounds for countless species. They have also worked tirelessly to call attention to the problem of plastics pollution, which poses a severe threat to marine life and the human communities it sustains on land. Still, even as we work to protect and restore marine environments, islands have been forced to make large investments to protect our shores from severe climate change impacts such as erosion and rising seas. In the Maldives, we have been forced to climate-proof infrastructure, including wharfs, roads, sea walls and sanitation. These projects are extremely costly and divert resources away from other priorities such as public health and education. Other SIDS have had to reimagine their development futures in the face of the uncertainties that stem from climate change and ocean degradation. One thing is for sure: just as the impacts of overfishing, pollution and climate change are global, so too are the solutions. Protecting the ocean for present and future generations requires all countries to fulfil the commitments made to support the means of implementation of the 2030 Agenda and cut emissions. Like the ocean, SDG 14 must bring us together again. 1 Dan Laffoley and John M. Baxter, eds., Explaining Ocean Warming: Causes, Scale, Effects and Consequences (Gland, Switzerland, International Union for Conservation of Nature, 2016), p. 8. Available from: https://portals.iucn.org/library/sites/library/files/documents/2016-046_0.pdf. Author bio: Ahmed Sareer is Permanent Representative of the Republic of Maldives to the United Nations. This entry was posted in Latest news, Oceans Conference and tagged Climate Change, Environment, Maldives, Marine Protection Area, PollutionSDG 14, SDGs, Small Islands on June 5, 2017 by Charles Nonde. 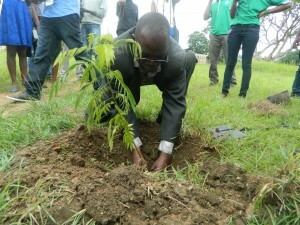 June 4: Zambia joined the rest of the world in commemorating World Environment Day, a number of activities took place between June 4th and June 5th 2015., The United Nations in Zambia, Ministry of Environment and Tourism and Natural Resources, Standard Chartered Bank and Youth United Nations Association (YUNA), organized a tree planting exercise as one of the activities during the Environment Week, this event took place at the National Heroes Stadium. The 2015 global theme was “Sustainable Consumption and Production “Seven Billion Dreams. 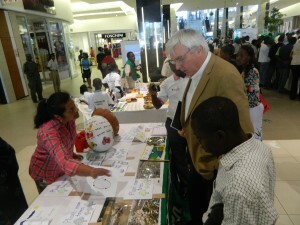 One Planet Consume with Care”, Zambia localized the theme to “13 Million Dreams Consume with Care”. A number of activities were conducted around the country and there was participation from various partners including government ministries. At the tree planting exercise, Mathews Kalabo the representative of the United Nations Youth Association said the issue of the environment knows no boundary and affects the world at large, he also shared the efforts, that the three Organizations are implementing to combat climate change, citing the 5000 trees has been planted so far, in 6 provinces out of 10 in Zambia. He said that YUNA has been leading the cause in combating climate change with the support from Standard Chartered bank, the UN and Government in the country. He appealed to the ministry to consider the creation of green projects for the youth as well as green jobs to sustain the Environment and future generation, He further recommended Government for the strong partnership with ILO on Youth Empowerment through green jobs. The UN representative Mr. Jonathan Wesley Roberts, the Chief Technical Advisor in Integrated Land Use Assessment of FAO highlighted some projects that the UN is doing in partnership with the government in promoting sustainable land use while protecting the environment, he also commended the efforts of other government partners in their efforts to help serve the environment. The Honorable Deputy Minister of Youth and Sports Hon. Ronald Chitotela was the guest of Honor, in his remarks he thanked the three organizations on what they are doing to respond to climate change effects. He further said the Government of the Republic of Zambia is very willing to work with the International Community, Civil Society Organizations and the private sector in creating awareness on issues relating to climate change and the environment. He also urged citizens to consume with care in all areas of the production for sustainable development. Standard Chartered Bank Zambia Chief information Officer Mrs. Musonda reiterated that as a bank they are committed to supporting activities related to the environment in Zambia and to continue with developmental partnerships for noble causes like tree planting with the United Nations and Government. Other activities included an exhibition were various organizations showcased what activities and programs that they are doing in relating to the theme and the issue of climate change and match past to create awareness for world environment day. This entry was posted in Latest news and tagged Climate Change, Environment, government, MDGs, SDGs, UN, Zambia on July 1, 2015 by Charles Nonde. On 5th June Zambia joined the rest of the world in commemorating the world environment day whose theme is “Raise your Voice not Greenhouse Gases and Protect Environment”. 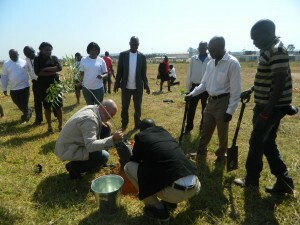 A number of activities were planned and the main event was a tree planting exercise in various locations which saw the participation of various government ministries, including senior government officers such as the Secretary to Cabinet Dr. Roland Msiska at Levy Mwanawasa Hospital which marked the official event World Environment Day and launch of Zambia’s Golden Jubilee Celebrations. The United Nations in Zambia, Standard Chartered Bank (SCB) and the United Nations Youth Association of Zambia (YUNA-Zambia) joined the Ministry Transport Works and Supply and Communications, at the newly built National Heroes Stadium. Blessings Sinkala who is the YUNA Child Ambassador in her remarks, she stated the presence of Ministry and all the stakeholders bears a testimony to the importance of good relations between the Zambian Government, the youths and the stakeholders such as the United Nations and Standard Chartered Bank to share the responsibility to unite and Combat Climate Change. She further raised a concern on the increment of Electricity Tariffs by the national utility company ZESCO at 24% for households, stating that it would cause the increase of charcoal production that will lead to massive deforestation in the country, furthermore, she encouraged everyone to stay focused in line with our visions such as vision 2030 which aims Zambia to become a middle income country and by attaining the MDGs by 2015. Mr. Excellent Hachileka who was representing the United Nations, highlighted issues on the climate change policy, he said Zambia is losing its forest due to human activities such as unsustainable agricultural practices and deforestation, he said currently the country is losing 250 000 to 300 000 hectares’ of forest per year which will result in others parts of Zambia turning into deserts. Standard Chartered Bank Zambia Director Mrs. Musonda reiterated that as a private entity was committed to issues of the environment hence its participation and partnership in noble causes like that of planting trees with the United Nations and Government. She further said that they would continue to support national tree planting exercises when called upon. The Hon. Minister Mr. Yamfwa Mukanga MP in his remarks gave a brief background on the world environment day from its beginning, he shared with the gathering that the tree planting was also the part of Golden Jubilee as Zambia celebrates its 50 years of independence. The Minister agreed that the Ministry under his charge Transport, Works and Supply Communications has contributed to deforestation in the country as the government is pushing infrastructure development through activities such as new roads and new buildings across the country, he said despite this the ministry is very committed to replanting trees that are cut down during the development activities. The Minister urged every Zambian to involve themselves in tree planting exercises, and he thanked the United Nations, Standard Chartered Bank Zambia, YUNA-Zambia and schools that participated in the exercise, about 100 plus trees were planted. This entry was posted in Latest news and tagged Climate Change, Environment, trees, UN, Zambia on July 5, 2014 by Charles Nonde. The University of Zambia United Nations Youth Association (UNZA-YUNA) is a branch of the United Nations Youth Association of Zambia and is affiliated to University of Zambia Students Union (UNZASU) and Dean of Students affairs (DOSA) at the University of Zambia. 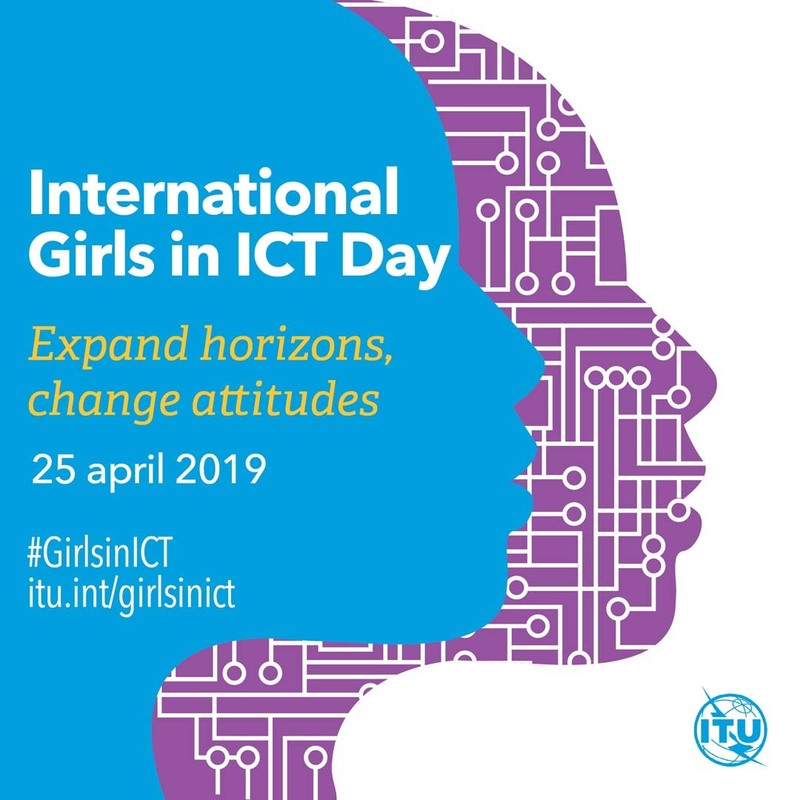 Its mission is to promote and support the ideals, mission and activities of the United Nations and campaign for youth participation in all UN activities by bringing the UN closer to the youth, also it works closely with the United Nations Information Centre (UNIC) on various activities. Climate change has become one of the major challenges facing the world today. In recognition of the threats it poses, the issue that has become an urgent concern on both Social Economic and Political Agenda. This is due to the damage to the environment. 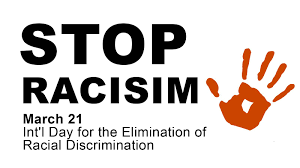 Prominent threats among others include; altered ecosystems, loss of biodiversity, floods, droughts, declining agricultural productivity and spread of vector diseases such as malaria. On February 5, 2014 the University Of Zambia students took part in the tree planting exercise within the Campus, the programme started around 09:50 to 11:45 hours. Among the invited guests were Mr. Charles Nonde UNIC Representative, Dr. Tembo School of Agriculture Dean, Acting Deputy Dean of students Mr. Museteka and YUNA Representative Mathews Kalabo. The events started by few remarks at the chapel were students gathered to be addressed on the subject, the Importance of tree planting. to take environmental issues seriously. Dr. Tembo was the second to speak he started by thanking the support given the UNZA-YUNA from the United Nations Information Centre and the Forestry Department under Ministry of Lands and Natural Resources and Environmental Protection, as beneficiaries the School of Agriculture was grateful. The Acting Deputy Dean of student Affairs Mr. Museteka said the having trees at University it will help the current campaign called keep UNZA Clean, because green is clean, he also thanked the United Nations Information Centre for the support rendered to not only UNZA-YUNA but the entire Campus, he further extend his sincere to the Forestry Department under Ministry of Lands and Natural Resources and Environmental Protection for providing the plants. The University of Zambia School of Environment Education Students Association (UNZA-EESA) Secretary General Salome Sakala, shared with the students the importance and how human beings benefit from the trees and explained the process of carbon dioxide sinking from the atmosphere with regard to environmental sustainability and climate change, thereafter the students proceeded to the planting area where 45 types of trees were planted. This entry was posted in Latest news and tagged Climate Change, Environment, Sustainability on February 13, 2014 by Charles Nonde. 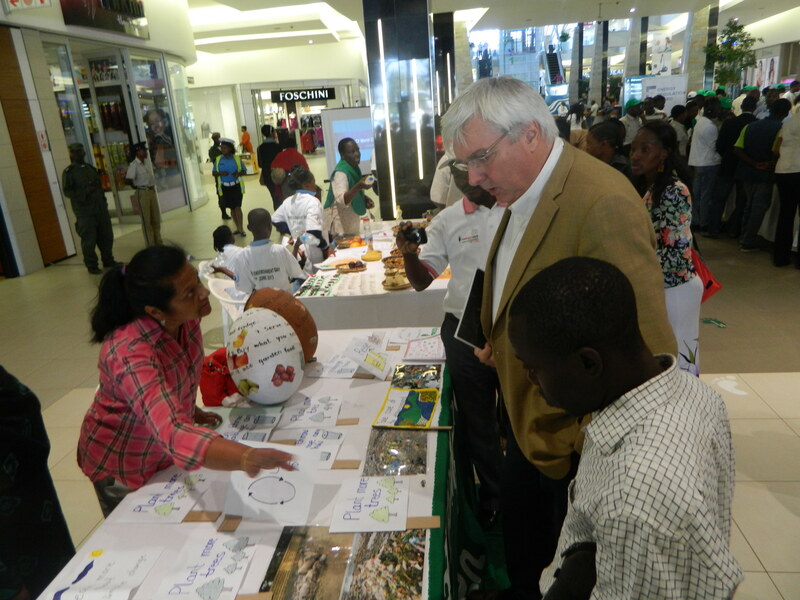 The United Nations in Zambia, together with the Government of Zambia and other national partners commemorated this year’s World Environment Day with a theme “Think. Eat. Save”. 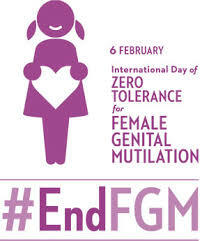 The following outreach activities took place over a two day period to mark the day. Community waste collection exercise in Kalingalinga, Lusaka. 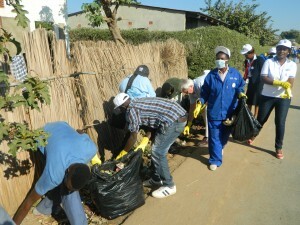 On Tuesday 4 June, there was a community waste collection exercise, where The United Nations family in Zambia carried out a waste collection exercise in Kalingalinga community. 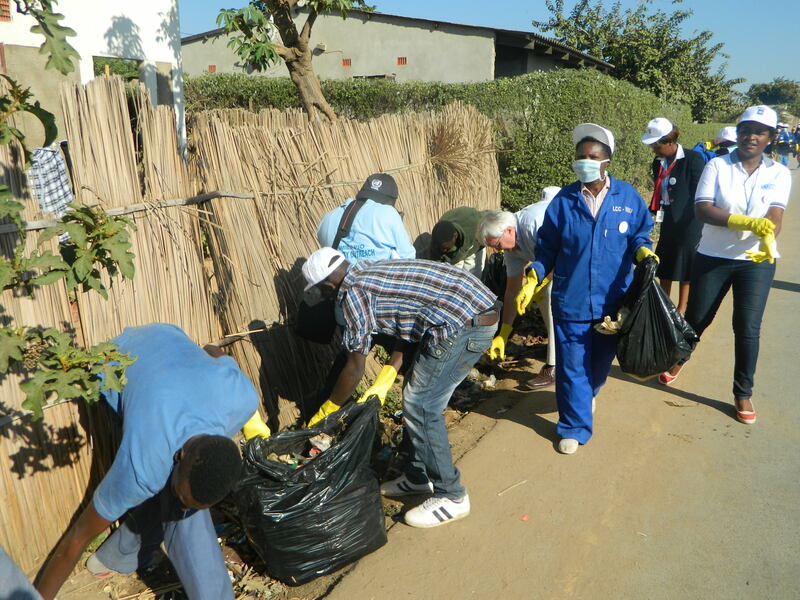 Community residents, UN staff and other volunteers collected an assortment of waste, including litter, plastic bags and other waste materials and handed them over to the Waste Management Department of the Lusaka City Council for proper disposal. The objective of the initiative was to encourage community spirit to waste collection and highlight the importance of keeping one’s environment clean. The clean-up activity was done in collaboration with the Lusaka City Council, a Community Based Enterprise (CBE) and Kalingalinga residents. Residents also got insights into how they could cut down on unnecessary waste that pollutes their environment. On Wednesday, 5 June, There was a march from ZESCO to Levy Business Park; during this match public awareness was being conducted as well as inviting the public to be part of the activities that were taking place at Levy Park shopping mall. A member of Green Namunga Club explains to her audience on the importance of recycling food. There was an exhibition based on the theme “Think, Eat, Save” by the various stakeholders such as Green Namunga Club, University of Zambia Natural Resources Department, Sunny Money, Makeni Women and Youth Cooperative Society, ZESCO, as well as the UN agenices, where staffers raised awareness with the public to take action in their homes to help reduce food waste and minimize the environmental impact of food production. They also demonstrated source separation of waste using recyclable materials like papers and plastic bottles. Recycled items produced by climate change youth ambassadors, posters and flyers on World Environment Day and flyers/brochures on the work of UN Zambia where also exhibited. Present at the observance was the Deputy Ministers of Lands, Natural Resources and Environmental Protection, Honourable David Chung’imbu and Honourable Dr. Mwali, Mrs Daisy N’gambi, Permanent Secretary, Ministry of Lands, Natural Resources and Environmental Protection, Senior Government Officers, The Management of Levy Business Park, school children and the Media. The resounding message was “The decisions we make in the home, in our kitchens and at our dining tables, as well as national plans and systems for crop production, post harvesting and food processing should be planned through the lens of the likely chain of impact our food-print is having on the well-being of our neighbours and our shared environment. Let’s all think, eat, save and reduce our Food-Print”. 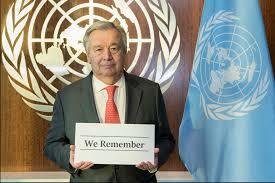 This entry was posted in Latest news and tagged Environment, Save, Think, United Nations, Zambia on June 7, 2013 by Charles Nonde.